An enthusiastic crowd of more than 200 medical marijuana patients and supporters rallied at San Francisco City Hall on Tuesday to hear six city supervisors and an Oaksterdam University official decry a recent federal crackdown on cannabis dispensaries. The midday protest was planned five weeks ago, according to Americans for Safe Access Executive Director Steph Sherer, but coincidentally came the day after Monday’s federal searches of Oaksterdam University, a cannabis industry trade school in Oakland. Oaksterdam Executive Chancellor Dale Jones, speaking from the steps of City Hall, evoked both the raids and the unrelated mass shooting that also occurred in Oakland on Monday and resulted in the deaths of seven people at Oikos University. “Two universities were struck yesterday,” said Jones, who said police resources should be used to prevent violence and not to stop patients from obtaining medical marijuana. “Why are law enforcement officers guarding a plant that hasn’t killed a person in human history?” she asked. Federal agents searched Oaksterdam’s headquarters and four other Oakland sites associated with Oaksterdam President Richard Lee on Monday. The school teaches courses on marijuana horticulture and dispensary management. Joshua Eaton, a spokesman for U.S. Attorney Melinda Haag, said he could not comment on possible next steps in the investigation or on when the search warrants used in the raids will be unsealed. Tuesday’s San Francisco rally was aimed at protesting a crackdown on medical marijuana dispensaries announced in October by the four regional U.S. attorneys in California, including Haag, who is the chief federal prosecutor for Northern California. The prosecutors said they planned to target large-scale commercial enterprises that operate under the guise of providing medical marijuana. Haag said her office would begin by concentrating on dispensaries near schools and parks. 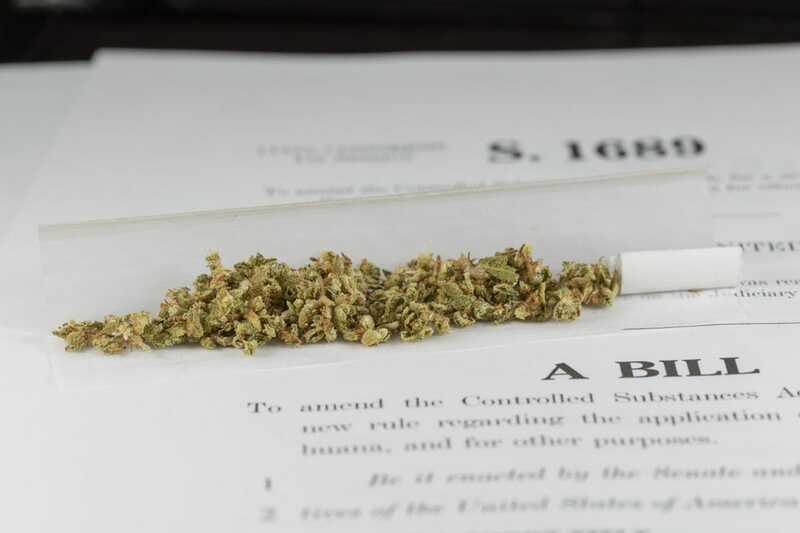 California’s Compassionate Use Act, approved by state voters in 1996, allows seriously ill patients to use marijuana with a doctor’s permission, but federal laws criminalizing the drug make no exception for state medical marijuana laws. Eaton said Haag had no comment onTuesday’s protest. They were Board President David Chiu and Supervisors John Avalos, David Campos, Jane Kim, Christina Olague and Scott Wiener. “What people are asking for is something simple: they need access to their medicine,” Olague said. “I hope that in a few short years, everyone in the United States will understand what we are fighting for,” Chiu said. Several other legislators and officials, including San Francisco District Attorney George Gascon, City Attorney Dennis Herrera, state Sen. Mark Leno, D-San Francisco, Marin and Sonoma, and Assemblyman Tom Ammiano, D-San Francisco, did not attend the rally in person, but sent representatives with messages of support. The dispensary on Geary Street at the edge of the Tenderloin District, which was near a small public playground, was forced to shut down after Haag’s office threatened Pappas’s landlord with forfeiture of his property. After the speeches, the crowd marched two blocks to the Federal Building, which houses Haag’s office, and chanted “Shame, shame, shame” and “We’re patients, not criminals” at the building before dispersing.